We have an excellent reputation locally and receive many visitors in our shop. This is because of our understanding and vast experience we have the ability to tailor make your item to your specific needs. 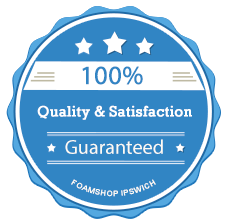 Ranging from replacement foam or cover making service on an individual basis to a complete supply of foams, cushions and covers for homes, boats and caravans, using only the highest quality foam and materials. We are using this expertise to bring you a website, not only of foam products of various kinds, but upholstery items and tools for the professional and DIY enthusiast. Our constant striving for perfection has resulted in many of our fond customers frequently returning over the years.